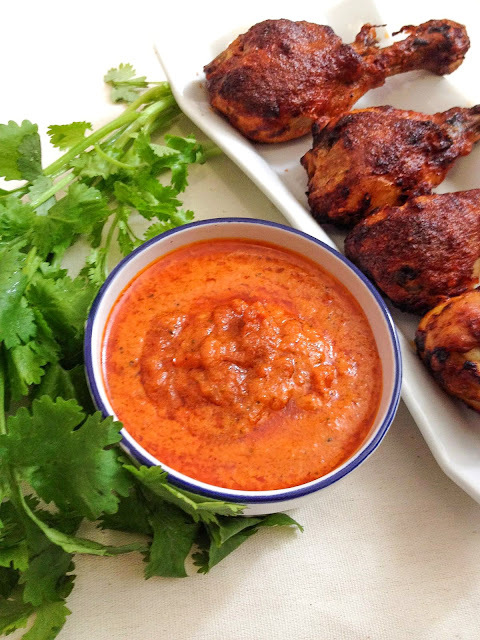 Piri Piri | Peri Peri Sauce is a spicy sauce used for seasoning or marination. It is originated from south Africa. 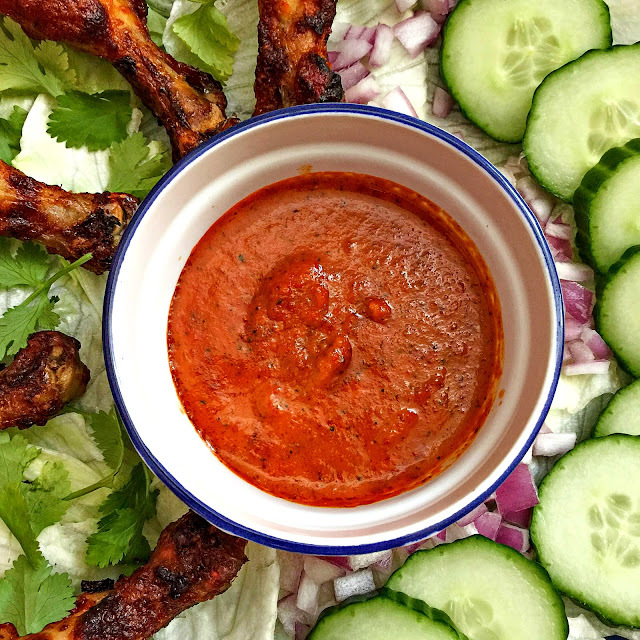 The sauce is consisting of bell pepper, Red bird eye chilli, paprika, herbs like (oregano, basil), lime juice/vinegar. This seasoning is great for grilling meat or veggies. I prepared peri peri chicken with this marination. It was delicious. I will be posting peri peri chicken recipe soon here. 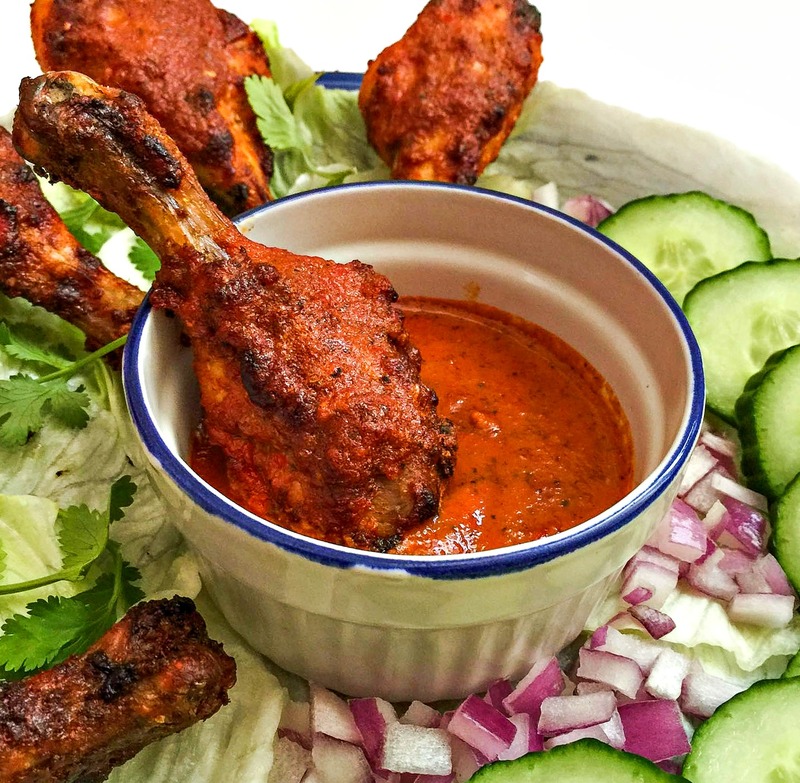 If you are chicken lover, then you must try this marination. It's too yumm. 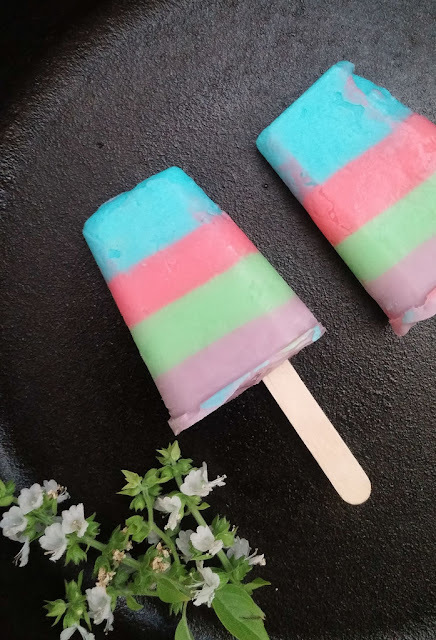 Take all the ingredients in a blender and make it to fine smooth paste. Store it in air tight container at refrigerator upto a week or 10 days.